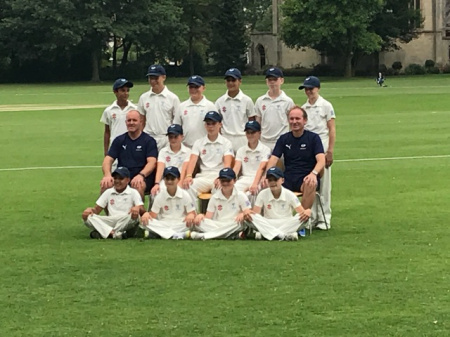 Yorkshire U12A at the Rugby School Festival, held between Monday 20th August and Wednesday 22nd August 2018. Yorkshire 267-3 (Noah Kelly 108*, Jawad Akhtar 105) beat Middlesex 144 all out (Tom Burton 3-38) by 123 runs. Yorkshire won the toss and batted first on an excellent wicket at the Rugby Festival. After the early loss of two quick wickets, Noah Kelly and Jawad Akhtar dominated the Middlesex attack to the extent that both players managed to reach their centuries before the end of the innings. Kelly’s 108* came off 113 balls, including eight 4s, with Akhtar’s 105 coming off 128 balls, including seventeen 4s, as Yorkshire finished on 267-3 in their 45 overs. Middlesex were eventually bowled out for 144 for an emphatic Yorkshire win by 123 runs. Warwickshire 118-2 beat Yorkshire 117-4 (Jawad Akhtar 42, Sabir Mahmood 32) by 8 wickets (T20). Yorkshire won the toss and batted in their first T20 on day two of the festival. Yorkshire made steady progress through their innings, led by Sabir Mahmood (32) before he retired hurt when in full flow, and Jawad Akhtar (42). Late runs by Tom Burton (15*) pushed Yorkshire up to 117 in their 20 overs - which was defendable but still 15 runs short of a challenging target. Yorkshire toiled hard in both the bowling and fielding departments but eventually Warwickshire knocked off the runs with seven balls to go for the loss of only two wickets. The main lesson learnt was the high number of dot balls (55%) in the Yorkshire innings. Yorkshire 155-5 (Sabir Mahmood 45*, Noah Kelly 36, Billy Armistead 33) beat Middlesex 128-4 by 27 runs (T20). Yorkshire moved onto the main square at Rugby School, won the toss and batted on an excellent wicket. Runs came freely throughout the Yorkshire innings, led by Noah Kelly (36) Billy Armistead (33) and Sabir Mahmood (45*), plus a late flurry by Jack Redshaw (13*) as Yorkshire posted 155 in their 20 overs. Middlesex also found runs easy to come by but were always behind the required run rate. Middlesex got off to a solid start before Yorkshire eventually gained a breakthrough. Although Middlesex tried hard to chase down the runs, they fell 27 runs short of victory. Josh Hen-Boisen (3-0-16-1) was the pick of the Yorkshire bowlers. Yorkshire 256-5 (Jawad Akhtar 98*, Noah Kelly 59, Sabir Mahmood 41) beat Surrey 155 all out (Tom Burton 3-24) by 101 runs. Yorkshire won the toss for the fourth successive time at the festival and again chose to bat first. After an early set back, Noah Kelly (59) and Sabir Mahmood (41) were again in the runs as Yorkshire dominated the Surrey bowling. Jawad Akhtar then came to the wicket and continued his excellent batting form. He batted superbly and was very unlucky to run out of balls as he finished on 98* as Yorkshire totalled 256-5 off their 45 overs. Chasing a huge total, Surrey wickets fell at regular intervals. Tom Burton (3-24) was the main wicket taker, followed by Ollie Rook (2-38) and Josh Hen Boisen (2-23), as the spinners gained the majority of the wickets taken. Surrey were eventually bowled out for 155 as Yorkshire won by 101 runs. This rounded off a very successful first Rugby School Festival for some of the elite counties in England, played on excellent batting tracks with the emphasis on player development rather than individual awards and trophies. 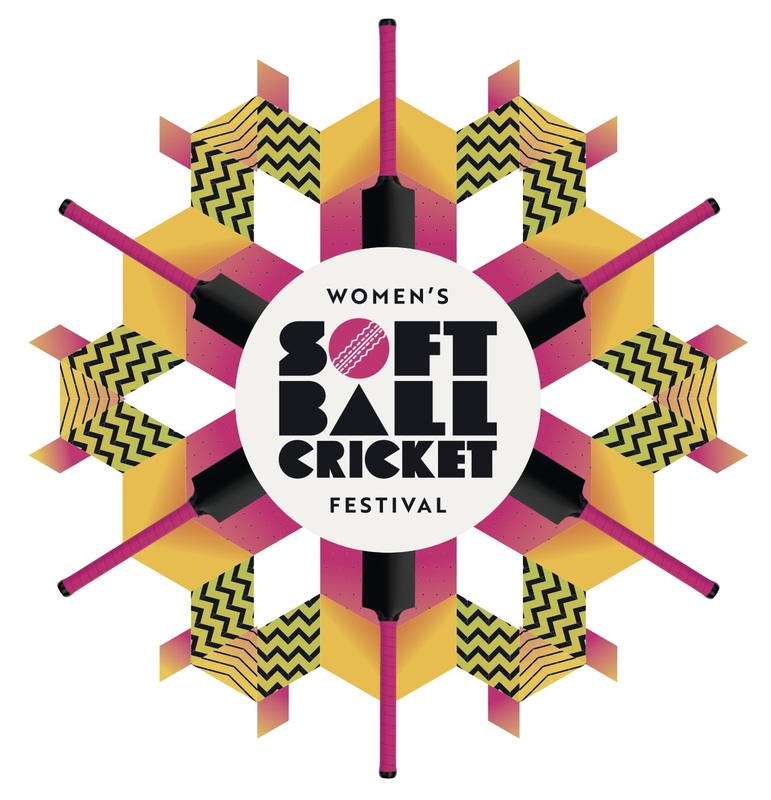 A very enjoyable experience for players, staff and parents and a special mention to Paul Greetham, the Warwickshire director of cricket for organising and running an outstanding festival of cricket.